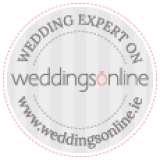 Algarve Events - Wedding & Event Planners, an LLC is a professional wedding and events company specialising in bespoke events and design in the Algarve, Portugal. One of the original planning companies executing wedding & events in the Algarve for over a decade. A experienced high-end event planning and design team of planning experts who make it our mission to deliver a superior and completely customised service experience for our wedding & event clients. With a keen eye for detail, our goal is to follow the vision of your big day perfectly, making sure that you can sit back and relax. Providing you with a wedding & event that is creative and uniquely your own.